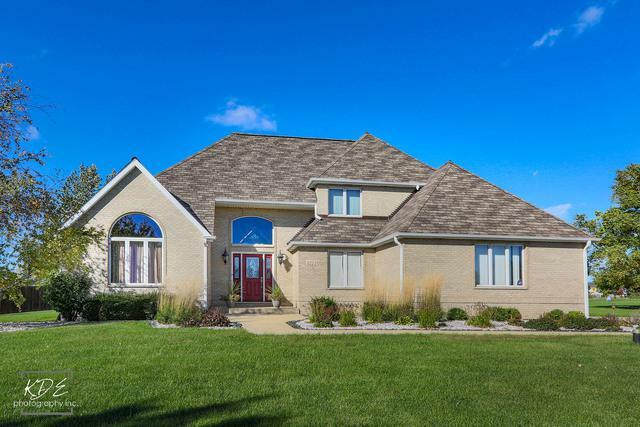 CUSTOM BUILT-ORIGINAL OWNER-METICULOUSLY MAINTAINED! 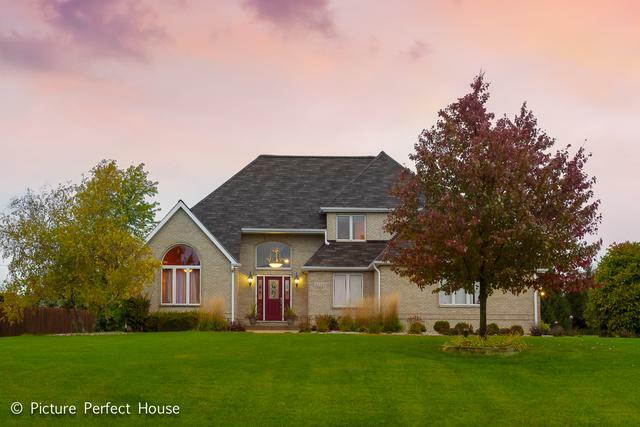 All brick home, professionally landscaped on 1.16 acre lot with 4 total bdrms & 3 1/2 baths. New roof 2016! 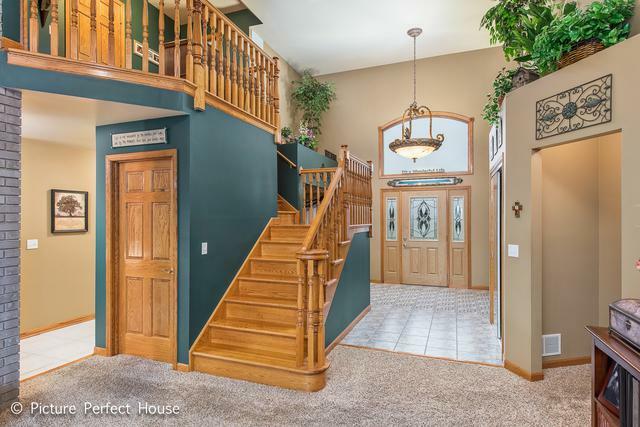 Cul de sac location w/concrete driveway & 3 car garage w/stairs to unfin. part of basement. 1st flr master bedroom w/tray ceiling, walk-in closet & sliding door with integrated blinds to deck. Ensuite bath in master has jetted tub, double sinks & shower. Separate living & dining rms. Family rm w/sliding door to deck & see through fireplace to eating area of kitchen. Huge kitchen w/fireplace & window seat in eating area, door to exterior & garage, loads of cabinets & countertops, micro., electric cooktop & oven below, new refrigerator, island w/seating, sink & dishwasher. 2nd level w/small loft, 2 bedrooms both w/walk in closets & Jack-n-Jill bath. 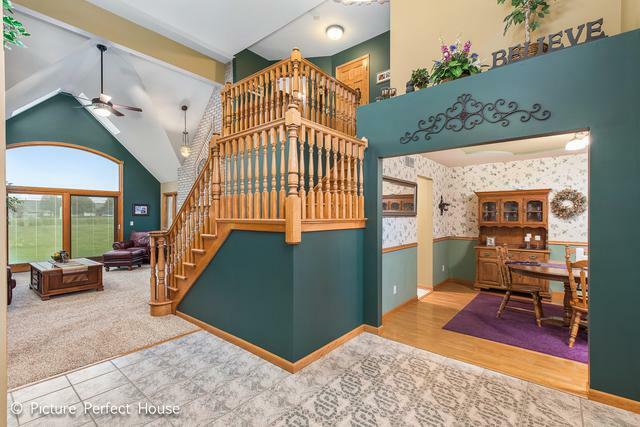 Basement w/bedroom, full bath, lounge area w/fireplace, bar area w/sink, counter & fridge, laundry rm & plentiful unfinished storage space w/stairs to garage. AMAZING HOME & YARD!